This wrappable armband is covered in gold fabric and bendable to fit any arm. 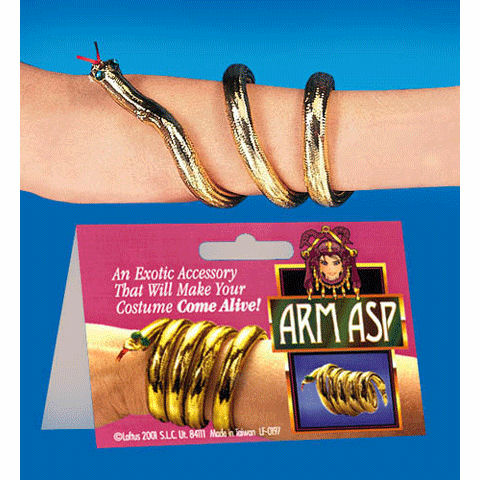 Add this accessory to complete your Egyptian or Cleopatra costume. Snake measures 30 inches long.